LB201 3/4" BA Lanyards are comfortable and perfect for large events and trade shows. Our LB201 3/4" BA Lanyards are made with durable 3/4” wide woven polyester material with a plastic re-attachable breakaway joint and adjustable slider. 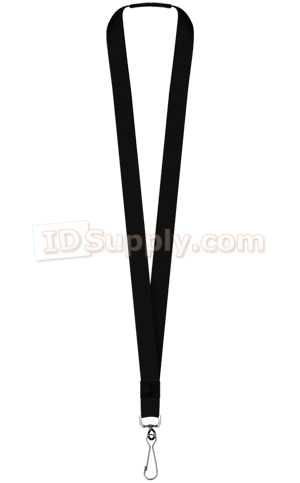 LB201 3/4" BA Lanyards are Black with a Metal Swivel Hook. Lanyard length is approximately 36 inches.